I visited Matera the first time three years ago, as I spent the holidays on the Ionian coast of Basilicata. I didn’t realize, then, that the city was so close to Puglia; I have don it last year instead, when I reached Matera from Bari. Bari is in fact the city with the nerest airport and most comfortable rail link to Matera, which is from there a bit more than an hour drive. I also discovered, meanwhile, that the Basilicata region bagan independent in 1970 while until then Matera itself was part of the Puglia region. The thrill of getting to Matera was tha same as meeting again a dear friend. I was in love at first sight in 2013 and the opportunity to return thanks to the project #365PugliaDays organized by Italica Tourism gave me excitement and emotion that few people can understand. 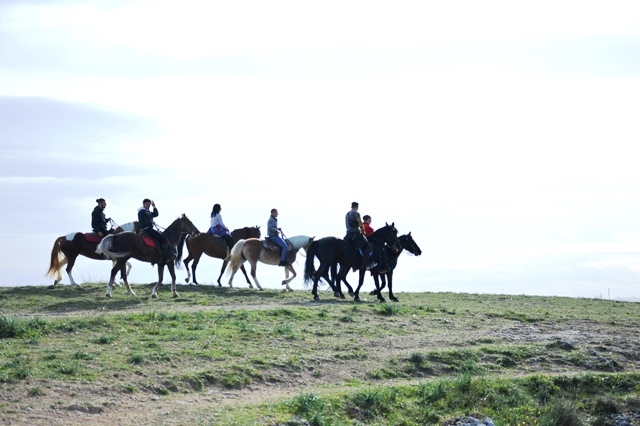 This time I had the privilege to look out from the opposite side of the “Sassi”, the typical houses in Matera, from the Murgia, where you can go hiking, horseback riding and discovering the first Paleolithic churches. From here the view is breathtaking; on the right tands Sasso Barisano [which takes its name from the fact that it is the first coming from Bari], easy to be spotted, the city center with the Civita where the Cathedral stands out, and the Sasso Caveoso, the left part of the city. But Matera is not only to be admired from far, it worths living and visiting it, as a city that needs to be explored on foot through the streets of stones, including stairways and doors. Those doors sometimes still tell that this city, that slightly more than half century ago was mentioned as “Italy’s shame”, but that knew how to react to this gratuitous insult and soon will be the European Capital of Culture in 2019. 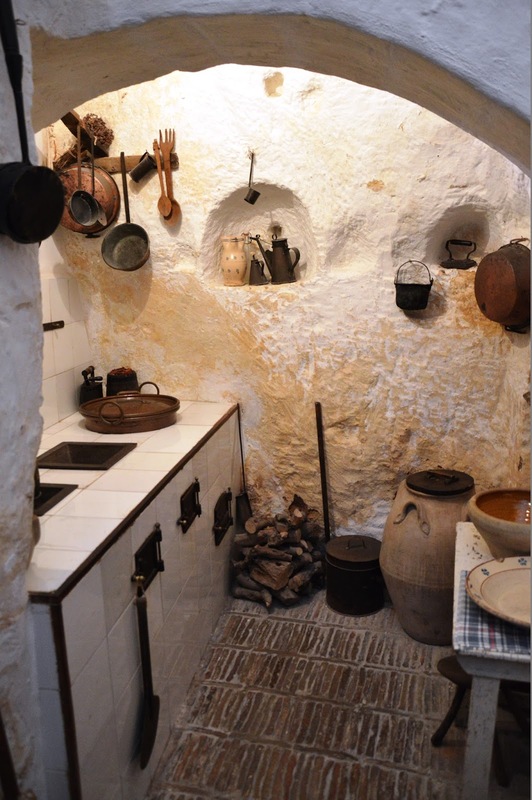 You cannot miss a visit to a Casa Grotta, to understand how the inhabitants lived here with all their belongings, without wasting nothing and protecting the animals owned as family members. And it is entering a home or a shop which includes the conformation of these homes, which from the outside seem like normal buildings, that you can understand the work of man to dig the home and protect it. 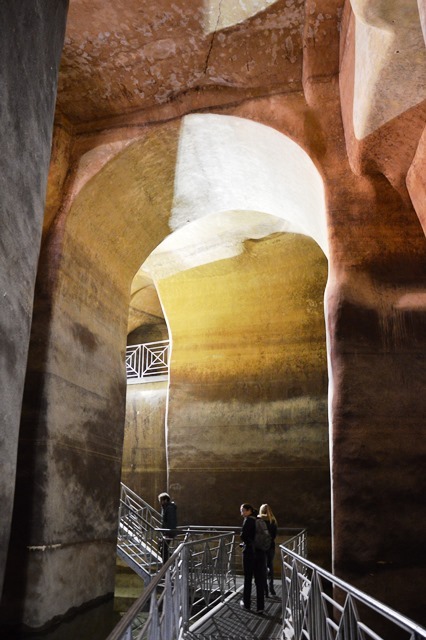 The most impressive visit, however, was the one to Palombaro, the large cistern under Piazza Vittorio Veneto, which was discovered a few decades ago when it became necessary to repave the square. Here rainwater were used by the population, which collected it from the outside with buckets through special wells. 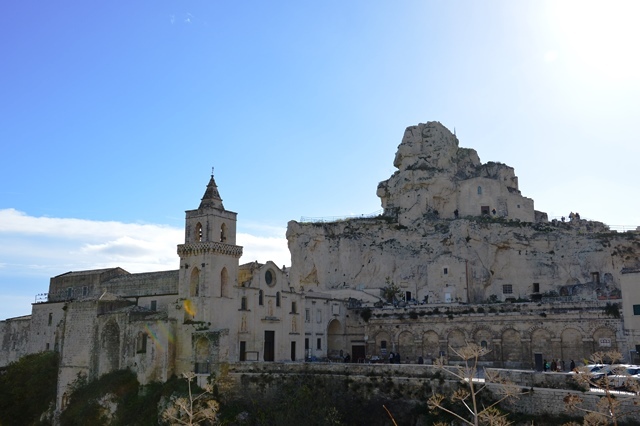 But the best time to visit Matera is December, during Christmas time. This year on the 3rd of December the seventh edition of the Living Nativity among the stones will start. This year the main theme is “Laudato Sii” (you are praised). In the long weekend starting from December the 8th the event will be enriched by a spectacular animated path from Gruppo Storico Romano in the Sasso Barisano, and throughout the Christmas period, ending January the 8th 2017, the nativity will walk among the houses and through the streets in Sasso Caveoso. Such a nice article Paola. I have been wanting to visit Matera for such a long time. It's been on my wish list for ages. Every time I find an article about it, it definitely catches my attention… The pictures are amazing, and the little town seems full of magic. I'd really love to see Matera next year, I can't postpone such a wonderful destination much longer. I think you gain such a unique perspective when you visit a city for a second time. Love your reflection! Your pictures are so expressive! I didn't know about this city, but I've wanted to get to Bari for a while now. Now they're noth on my list. Also, did you go to Matera by train? And how far is it from Bari? What a quaint stone city…it certainly has a lot of character. So many places in Italy! I've already been twice and covered over 20 places…but the list seems to be unending. Amazing the lifestyle preserved and displayed so well. I like places filled with so much history. Great captures particularly the first one with white facades and little windows. Those are the classic Matera's houses, built in stone. That first picture of Matera panorama is mind boggling. Completely in awe of its rustic charm. Casa Grotta looks fascinating. Am intrigued by the way how the things were arranged and how the inhabitants lived there. Never heard of this place before, but the rustic charm certainly shows through in the photos. I like how the city is somewhat uni-color, and the structures then all run together. It's a place to visit in Italy, definitely! Do so, and you won't be disappointed. Matera looks absolutely gorgeous! I'd love to go there and the nativity scene sounds quite intriguing. I usually tend to avoid traveling around holidays, but I'd definitely make an exception for this destination! Wow, Matera seems to be such a special place, and filled with history, too. I would love to go and explore one day! What a lovely read Paola, I sincerely enjoyed learning about the history of this town. The Casa Grotta looks like an awesome place to perform a case study on the way in which people lived and utilised the best and most they could with earnest! It looks like a very beautiful city, it deserves to be known (i had never heard about Matera before). I would love to discover it! 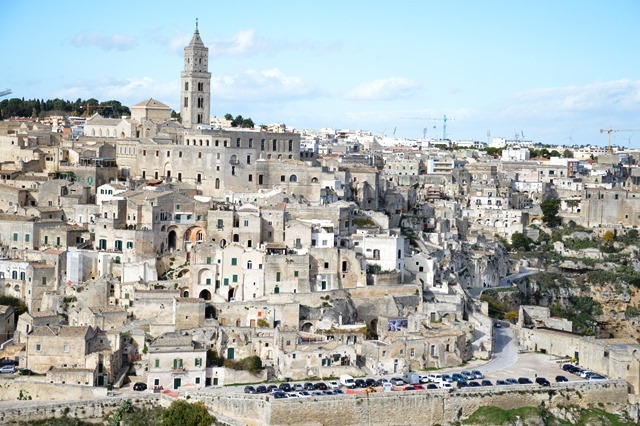 I didn't know that Matera is a tourist destination before reading your post. The architecture of Casa Grotta is just breathtaking! Adding it on my wishlist! Never heard of Matera. Love discovering new spots through blogs <3 The pictures really shows us a place that we would want to add to our list when the travel to the country! Thanks for the inspo! Oh this place is so lovely. The houses are simple yet so amazing. I love the first photo of the city. The architecture looks quite stunning. This is a new place for me. Is the living nativity done every year or was Christmas 2016 a one off? Hi, it's done every year! Follow the link you find in the post to get fresh info. certainly picked up anything new from right here. I did however expertise several technical points using this web site, since I experienced to reload the web site many times previous to I could get it to load properly.